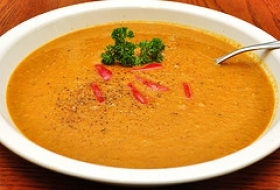 Have you made Carrot and Cashew Soup? 1. Make a double batch and freeze half. 2. 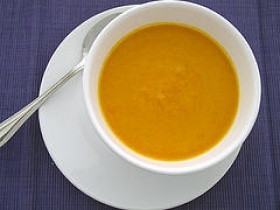 Makes 2-1/2 to 3 cups; enough for 2 to 4 Place onion and carrots in a saucepan with broth. 3. 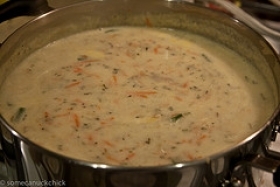 Cover with a lid, bring to a boil, and simmer until completely tender; adding up to 1 cup of water as needed. 5. Blend the cashews in a food processor with a little broth until smooth as a puree as possible. 6. 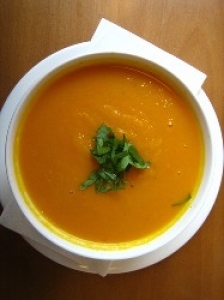 Add the onion and carrot mixture and blend to make a smooth and velvety soup. 7. Pass through a fine sieve if you want the soup to be smoother. 8. Taste and season with a little salt. Serve pepper at the table. 9. VARIATIONs: "Pan-Roasted" -- Coat a saucepan with olive oil cooking spray; heat with the vegetable chunks over high and brown but do not burn the vegetables. 10. 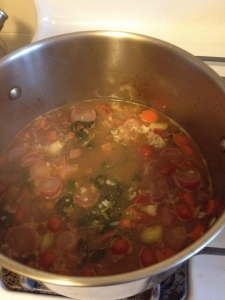 Add broth and simmer until soft. Puree as directed above. 11. Serve with a garnish of green onion or chives if desired. 12. 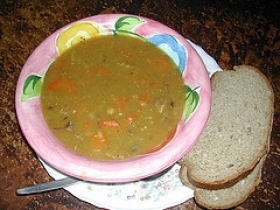 "Carrots and parsnips" ~- Use carrots and other root vegetables like parsnip or turnip for a more complex flavor. 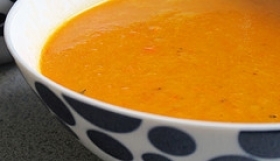 This recipe is high in Vitamin A with 389% of your daily recommended intake per serving. This recipe is a good source of Vitamin C with 12% of your daily recommended intake per serving. This recipe contains potential food allergens and will effect people with Tree Nuts, Onion allergies.